A division of Diedre Moire Corporation, Inc. 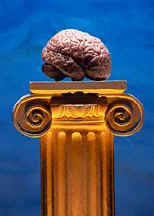 The 1990's were designated "The Decade of the Brain." In 1993 Diedre Moire responded by creating a division specifically devoted to conducting searches in the Neuroscience field. By word of mouth we have developed clients in other therapeutic areas and other disciplines throughout all areas of preclinical research and development. As industry specialists, we have assembled a highly trained staff of recruiters and researchers. NeuroSearch is the ideal partner for the executive seeking to build a premier team and the professional looking to excel in his or her career. Our reputation speaks for itself. Don't take our word for it, visit our testimonials and read the letters written by your mentors and peers. We are experts at locating and securing rare talent and specialized professionals. 1997-2003 Copyright Diedre Moire Corporation, Inc.
©2000-2006 Portal Prodigy, Inc. NJ, USA.All Rights Reserved.